Endless woods and pristine nature as far as the eye can reach. 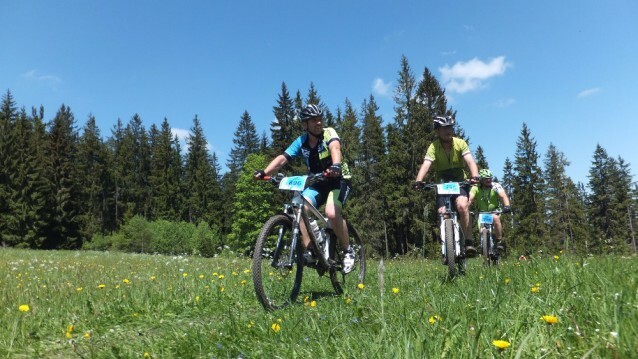 The National Park Sumava together with the Bavarian Forest is not only the largest coherent forest area in Europe but also venue of one of the oldest mountain bike races on the continent. The AuthorKrálŠumavy (King of the Bohemian Woods) takes place for the 26th time and has reached meanwhile cult status in the Czech Republic attracting every year more than 2.500 mountain bikers tackling one of the three distances – 45, 70 and 105 km. Once again in 2019 the start will take place at the picturesque market square of the listed historic town of Klatovy. The track continues leading into the breathtaking Bohemian Woods trails. A diverse course with several catering stations, numerous visitors and a great side event program guarantee a fascinating marathon experience. Don’t miss the legendary serving goulash and beer for all participants in the finishing area, as well as three bands turning up the heat at an open air concert in the evening! Online-registration is possible until May 18, 2019. Late entries are possible onsite at the starting number distribution. The winner ceremony takes place in the finishing area at 18:00 hrs.